Hey...i like helping the homeless! Seems legit. 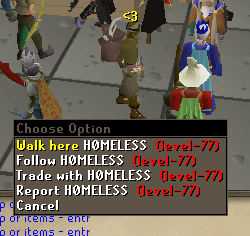 I bet he has to play RS in a library with free wifi, having no home and all. Must be hard having to beg for money on street corners just to buy membership cards. Must cut into his food funds.